Bio: Laura is a Lamorinda native and loves working in a field where she can directly help to improve the community around her. She has experience in working with clients of all ages and all levels of fitness. 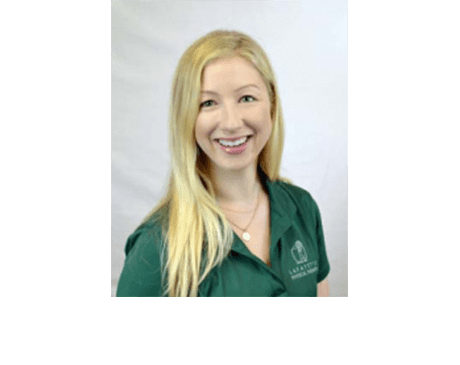 She specializes in post-rehabilitation exercise modification which helps many of our physical therapy patients continue their work in a safe environment once they have graduated from treatment. Laura currently leads our Pilates classes and sees many clients for personal training sessions. Training: Certified Pilates Instructor (CPI), Turning Point Studios, Balanced Body University. Certified Personal Trainer (CPT), International Sports Sciences Association (ISSA). Qualified TRX Suspension Trainer. Barre Certified Instructor. CPR and AED Certified, American Heart Association BLS for Healthcare Providers. Bachelors of Arts (BA) in Theatre Arts with Concentration in Dance. Hobbies: Laura believes in the medicine of movement and loves all things active! She enjoys Pilates, yoga, biking, hiking, walking her dog, dancing and leisure activities such as theatre, music and dining.